Zee Anmol is coming soon with a the Epic voyage tale of Sindbad. 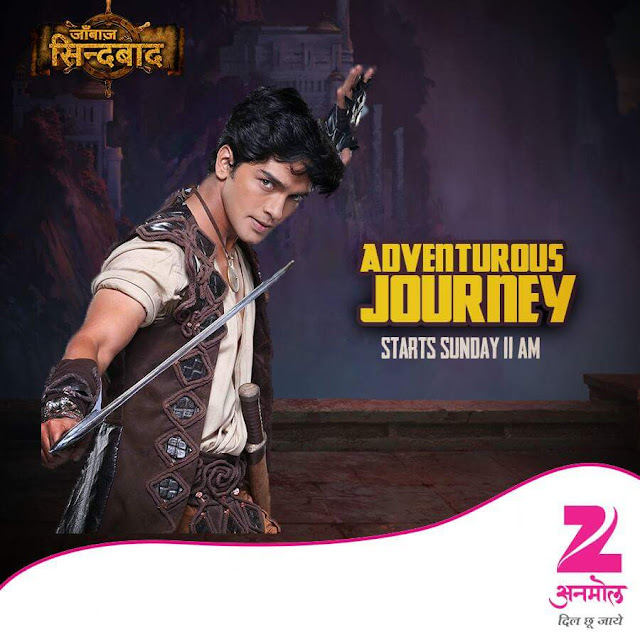 The show title is 'Janbaaz Sindbad'. The show jointly produced by Sagar Pictures and Ashwini Yardi. The story of an adventure hero on a voyage to discover the undiscovered! Sinbad the sailor gets thrown into a tumultuous journey across every sea, through dangerous face-offs with wizards, sorceresses, strange tribes and creatures. His quest is not one of tiding over the mere manifestations of evil but uprooting evil itself. So join Sinbad on his journey of avenging his father's death, claiming his love, unraveling secrets and restoring Ummeed.